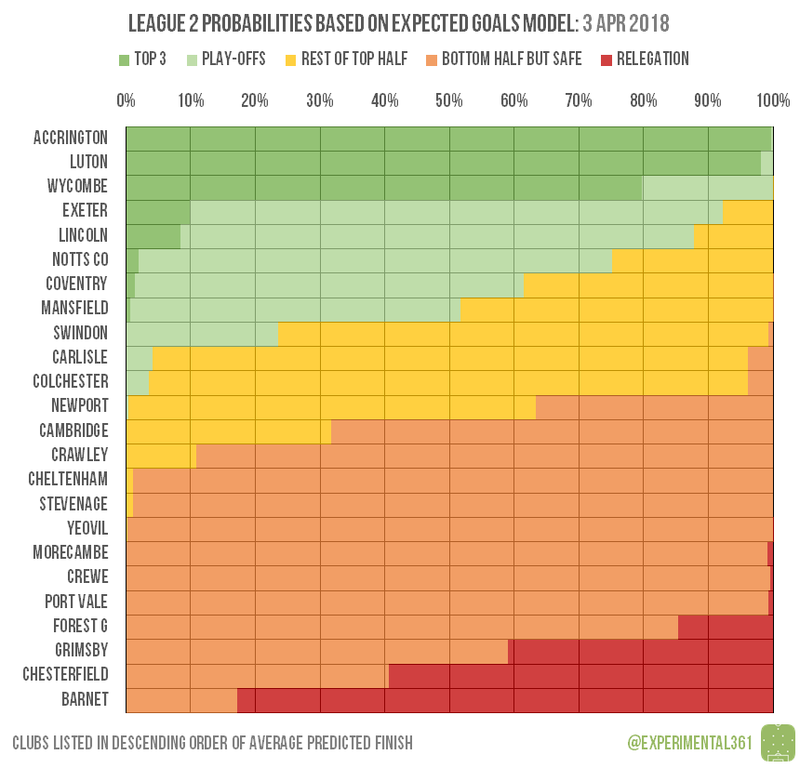 Exeter could well be turning a corner in good time to preserve their play-off challenge, but Grimsby are still declining worryingly just as the relegation battle starts to heat up. Mansfield are also in something of a nosedive, which is particularly noticeable in their attack. 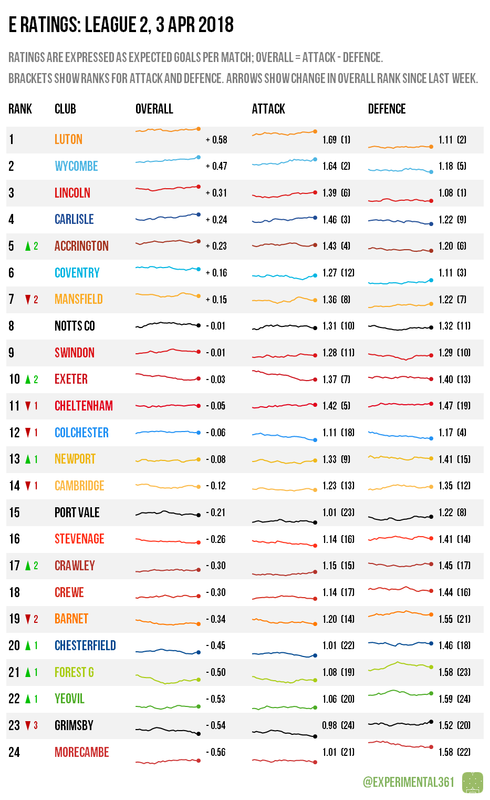 Wycombe‘s dominant win over Grimsby edges them closed to securing automatic promotion while nudging the Mariners towards the relegation trapdoor, although Barnet‘s defeat at Stevenage makes it less likely that they’ll be leapfrogging anyone. 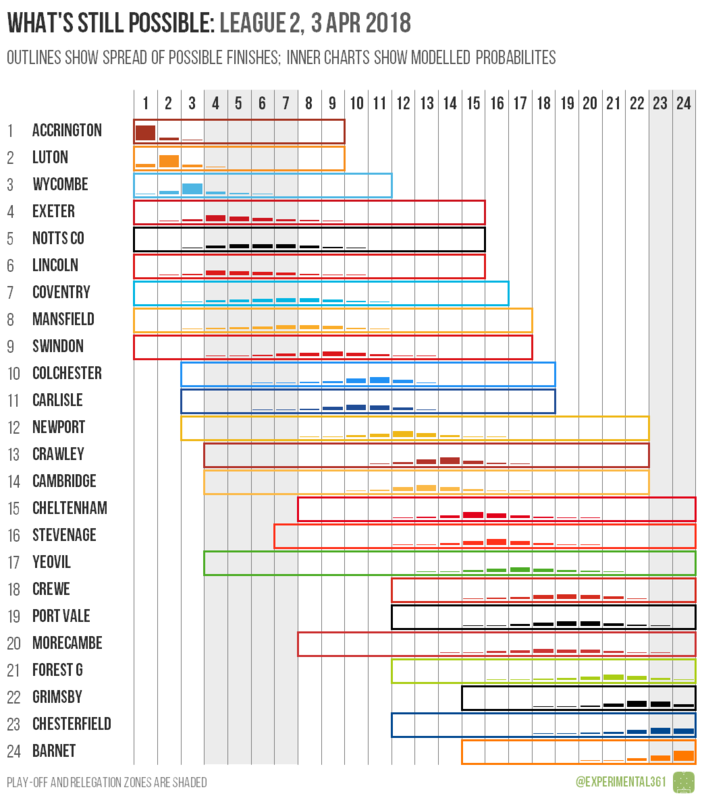 Lincoln and Exeter both boosted their promotion chances thanks to well-timed victories, with their main rivals losing.